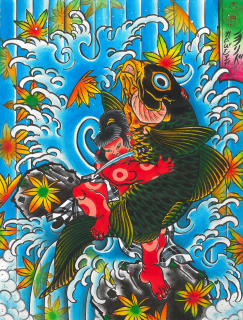 Beautiful archival prints of "Kintarō". 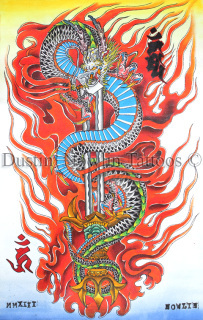 Ink on paper by Dustin Nowlin. Ready to frame and spread the joy of abundance and the thrill of competition where ever you like! 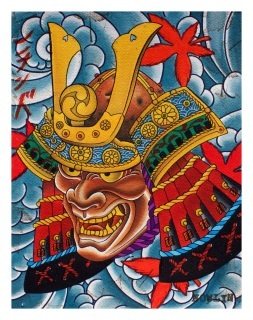 ​Samurai Helmet. 10"x 12" Pen and Ink on Watercolor Block Paper. Archival Print From Deep 6ix Graphics! 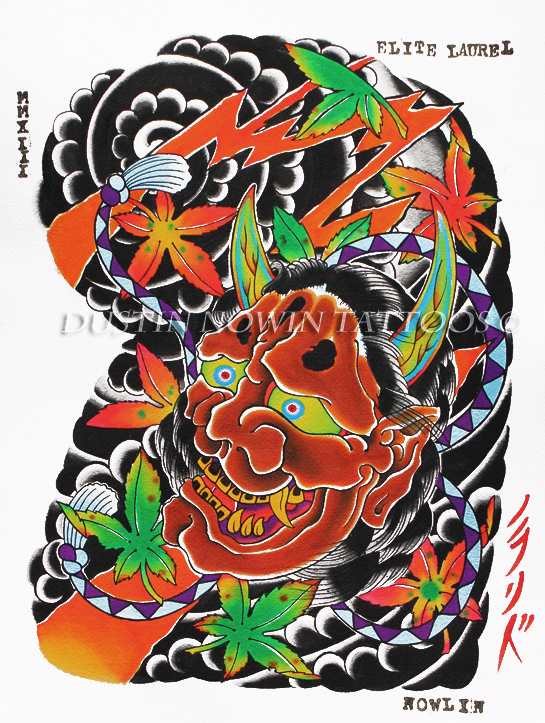 Original Painting inspired by the Hannya character. 12"x16" Ink on paper. 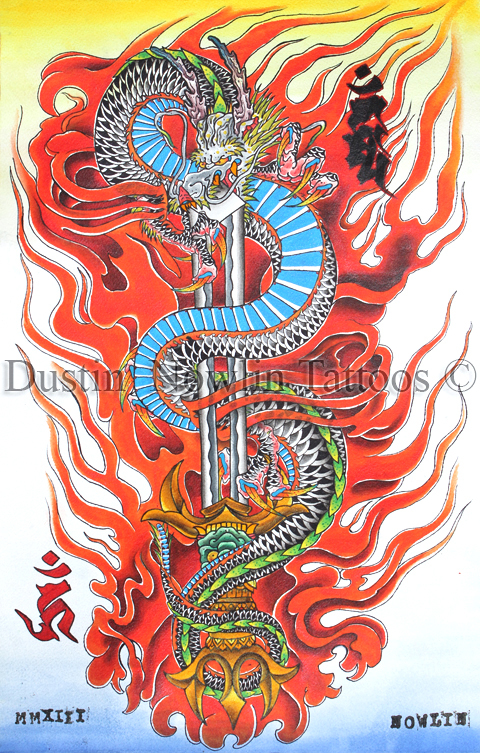 Original ink on paper 11''x17'' Painting of the legendary Fudo Myoo Dragon! © 2019 Elite Laurel. All rights reserved.